Race owner and organiser OC Sport has confirmed a start date of the 10th May 2020 for The Transat. The race is the successor, for professional sailors, to the original solo race across the North Atlantic that was born as the OSTAR in 1960 and which featured legends like Blondie Hasler and Sir Francis Chichester. "The Plymouth City Council bid was extremely strong and we are delighted to be starting the 15th edition of this iconic race from its historic home. "In the last edition in 2016, Plymouth provided the ideal launching platform for the race. The world-class boats were right in the heart of the city, we received fantastic support from local businesses while attracting thousands of people to the free-to-enter public race village." The 3,500-mile quadrennial race across the North Atlantic has a fearsome reputation and is regarded as one of the toughest professional solo ocean races. It is a challenge dominated by the progression of low pressure systems sweeping across the North Atlantic that produce the headwinds that define this classic race. In 2016, Frenchman Armel Le Cleac’h took an impressive win in the IMOCA 60 class aboard Banque Populaire, in a time of 12 days, 2 hours, 28 minutes and 39 seconds. For Le Cleac’h, The Transat proved to be the ideal training ground for the non-stop round-the-world race, the Vendée Globe, which he went on to win later that year. "The Transat is difficult because it is the only race that crosses the North Atlantic in this way. So we are against the prevailing winds which makes the course demanding and difficult," he commented. "It holds very good memories for me. In 2008, arriving second in the IMOCA was good and in 2016 it was my first solo victory in the IMOCA class. So it is important to me, it’s a legendary race and a great race." "The start from Plymouth was exceptional in 2016. The locals and visitors welcomed us warmly and we loved that they do so with great pleasure. There is a passion for boats there, the sea and everything marine related. "The week in Plymouth is a great celebration and it motivates us for the race, all of us are driven by the enthusiasm of the locals. It is an ideal place for the start of this legendary Transatlantic race." 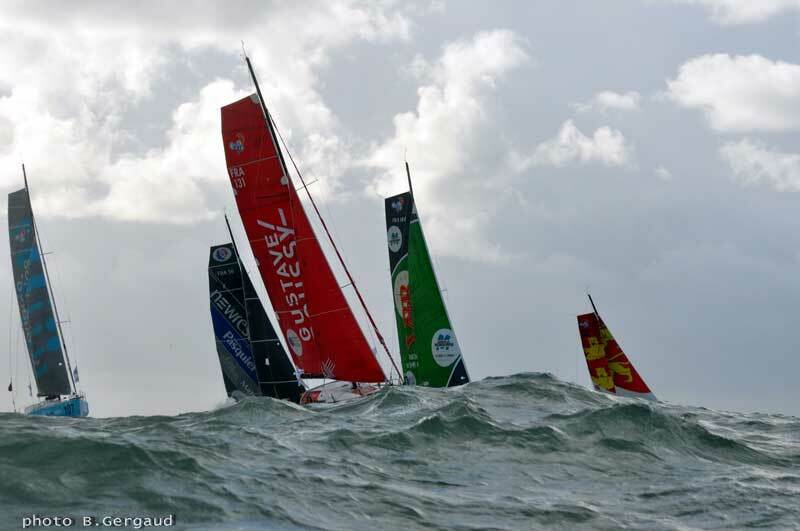 "Plymouth City Council is delighted to be working with OC Sport to host the start of the 15th Transat race in 2020. As Britain’s Ocean City, Plymouth has a rich maritime history and is deeply connected with the sea. We are proud to have been the starting point for this race every year since its inception in 1960 ; it epitomises the spirit of adventure our city is famous for." "Plymouth is at the heart of the upcoming 400th global anniversary commemorations of the Mayflower journey in 2020, so it is fitting that we welcome the return of The Transat race, an endeavour of sailing the Atlantic which links the UK and the US, in the same year." Racing classes invited to take part in The Transat 2020 edition include the breathtaking Ultime multihulls measuring anything from 51-feet and above, Class40 monohulls (40ft) and Multi50 multihulls (50ft). They will line up on the start in Plymouth Sound alongside the ocean’s monohull thoroughbreds – the IMOCA 60s (60ft), the world’s leading solo class as part of their official race calendar, that will go on to contest the Vendée Globe later that year. Skippers competing in The Transat will also be guaranteed a place on the startline of the Route du Rhum – Destination Guadeloupe in 2022. The single-handed transatlantic race, which is also owned and organised by OC Sport, has an entry limit of 120 boats, and due to the huge demand, a full startline is expected. The start in Plymouth will be preceded by an official Prologue from Brittany, giving sponsors, media and VIP guests the opportunity to join the solo sailors as they race across the English Channel to the start line. The host city for the finish of the race and the prologue location will be confirmed at a later date.